I love the look of these military skinny cargo pants that Khloe Kardashian, Leighton Meester, and Jessica Alba are wearing. They are urban chic and stylish yet comfortable and relaxed. 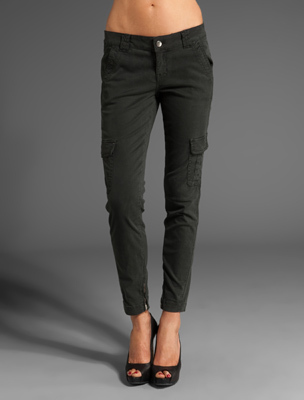 So a couple of weeks ago I was Nordstrom and I came across the oh so popular and adorable JBrand Houlihan Skinny Cargo pants. I really like these skinny cargo pants and I really like JBrand jeans in general because they are high quality and fit me well. 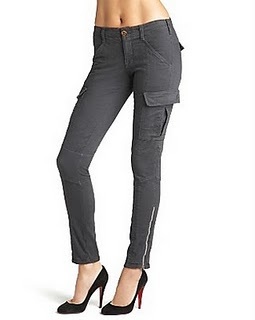 I am thinking about adding a pair of skinny cargo pants to my fall wardrobe because they are a nice change from the denim and black skinny jeans I wear all the time. These cargo pants would look great with booties or heels and a nice feminine top would complete the look. Here are a couple of more options by Level 99 and Free People. So, I decided to check out asos and see if they had any cargo pants. I know many of you bloggers out there have shopped at asos. But for my friends who are not familiar with asos, you should check out this UK site. They offer free shipping to the US and the prices are reasonable. Here are a few "green" items I adore from asos. As you can see I got a little sidetracked when I was searching for some skinny cargo pants. 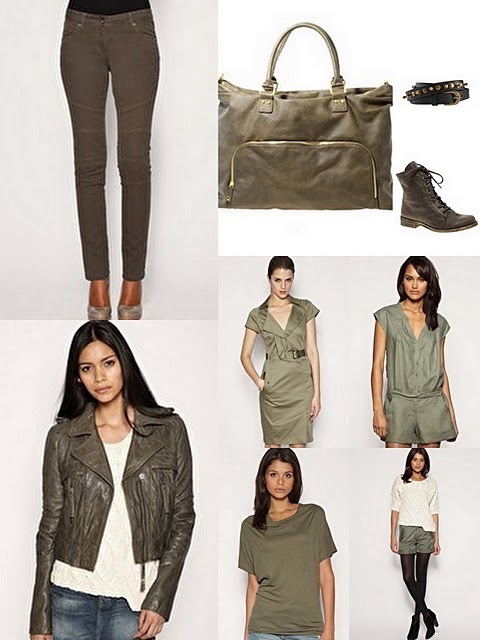 But, since asos does not have a wide selection of cargo pants I figured why not share with you some other cute "green" items. 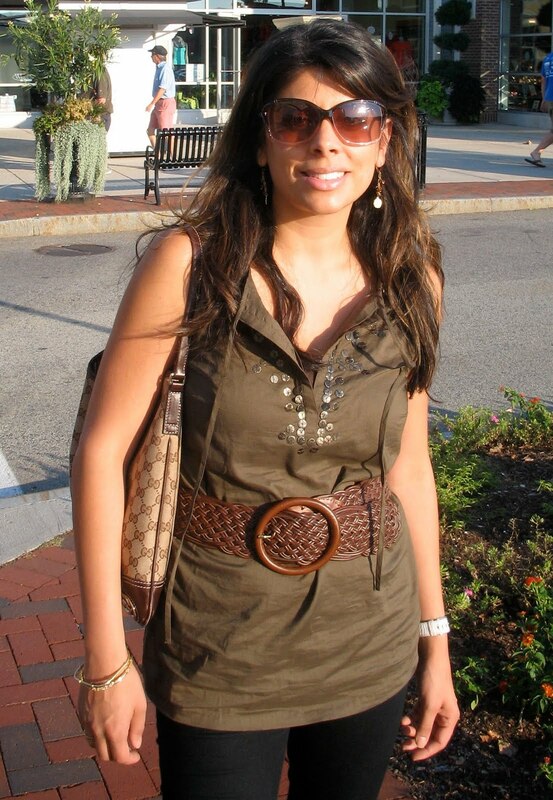 And here's just a picture of me wearing my favorite green item from the summer. This beaded tie-neck tank from Banana Republic has been one of my go to tops for the past couple of weeks. In a few weeks when the weather gets chilly here in Boston, I will pair this top with a blazer or cardigan and it will be perfect weekend wear. Have you added "green" to your wardrobe yet?